AgileBits on Thursday announced a short-term discount on 1Password 4 for iOS. 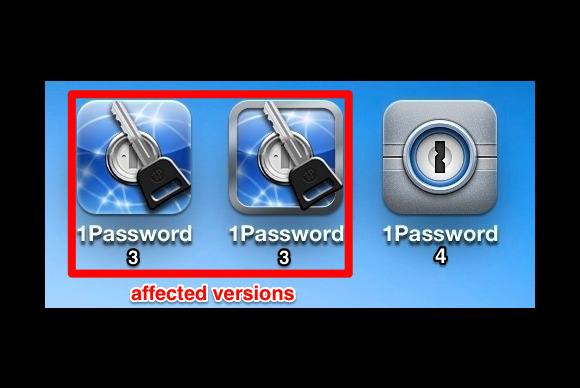 The reason for the sale: 1Password 3 for iOS is about to stop working properly—at least if you rely on Dropbox sync. The password-management utility has long offered Dropbox synchronization, so that users can access their 1Password-stored logins on all their computers and iOS devices. 1Password 3’s Dropbox integration, however, relies on an older version of Dropbox’s API, and Dropbox is shutting down that version of the API on September 1. Through Friday, August 16, 1Password 4 for iOS will sell at the discounted price of $8. The app normally costs $18. Agile says that 1Password 3 for iOS also supports local Wi-Fi sync with 1Password 3 for Mac, as a workaround for customers who can’t or don’t wish to upgrade to 1Password 4. Customers who need further options can reach out to Agile at support+iphone@agilebits.com.